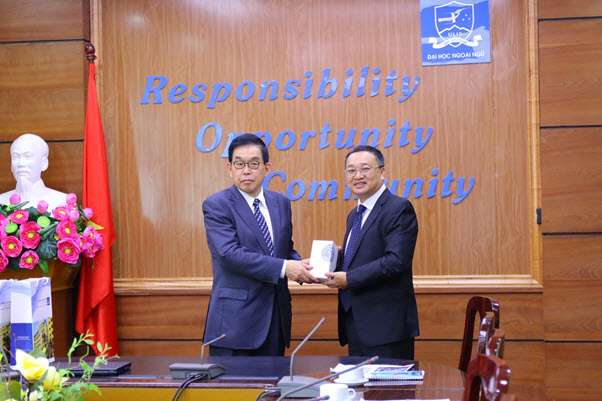 Since the cooperative relationship between the two universities was established in 2007, 10 years on, the two universities have built a strong development in many aspects and is expected to strengthen, especially in faculty exchange, transition training, organizing seminars and conferences, and research exchange, etc. 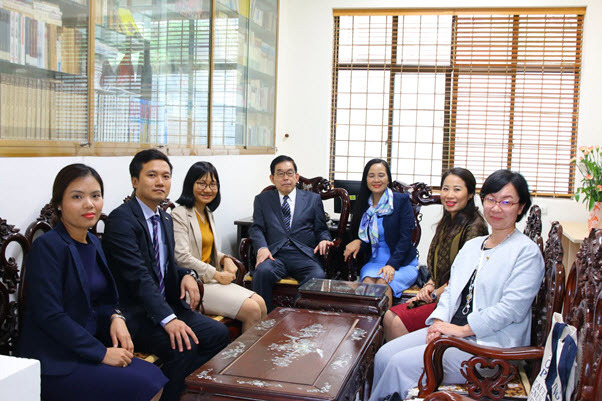 On November 12th, 2018, As had accepted the invitation of President Do Tuan Minh, President of the University of Saga (Japan), Mr. Miyazaki Kohji visited and worked at ULIS-VNU. 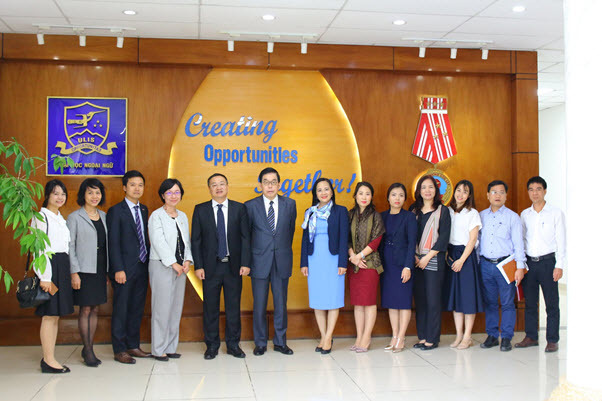 The President was joined by Vice President Ngo Minh Thuy, representatives of ULIS’s units, lecturers who were Saga university’s alumni, and students of the Faculty of Japanese Language and Culture. 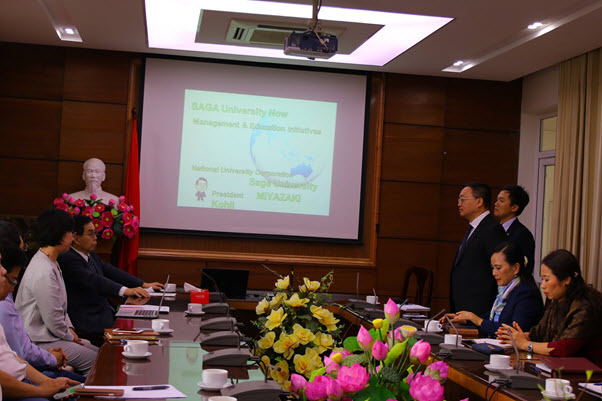 Speaking at the meeting, President Do Tuan Minh affirmed that Saga University is a special and beloved school to him (This is the first university the President visited in Japan), to the Faculty of Japanese Language and Culture, and to ULIS as well. 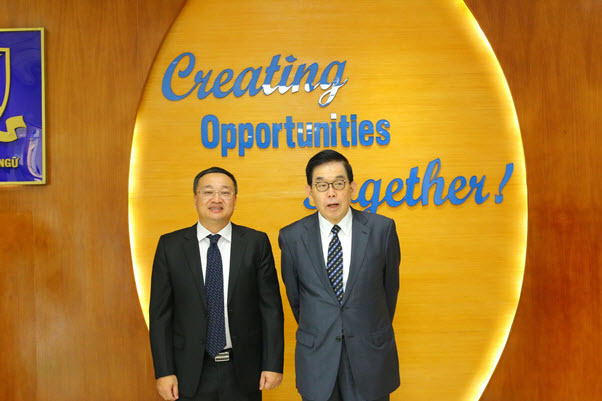 Since 2007, it has been 10 years of cooperation with Saga. 10 years on, the two universities have built a strong development in many aspects. 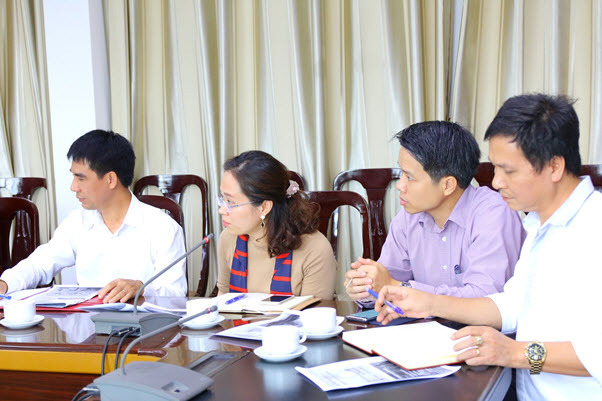 The President thanked Saga for the training of many excellent staff and lecturers and hoped the two sides would continue to find opportunities for cooperation in faculty exchange, transition training, organizing seminars and conferences, and research exchange, etc. 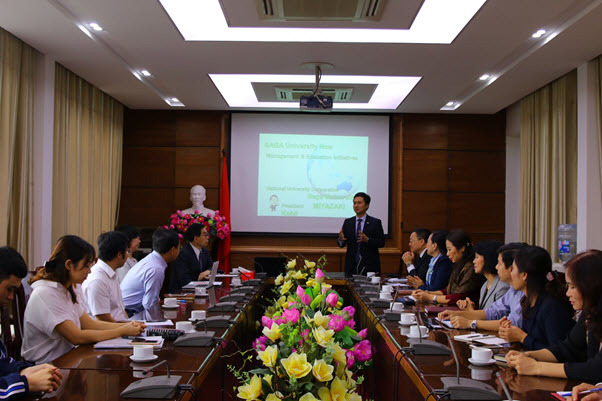 The President also introduced to Mr. Miyazaki Kohji on the Study Tour: Discover Vietnam course, which aims to receive many SAGA students to ULIS. Saga University’s President Miyazaki Kohji said that Saga University appreciated the strong and effective cooperation with ULIS. He also has an introduction about Saga University with a lot of interesting information about the vision, faculties, research, international student training, etc. At the end of the program, the ULIS teachers asked questions for Principal Miyazaki Kohji to learn more about Saga University as well as opportunities for cooperation.